This MA Lighting grandMA2 Light console is from 2017 and was used for corporate events. It is in good working condition. 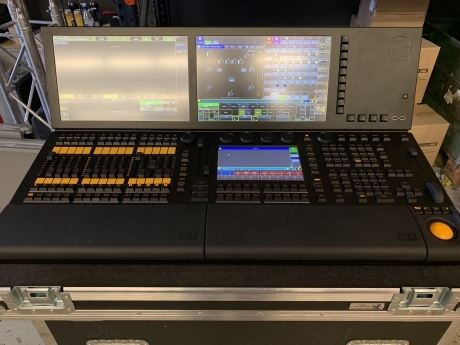 The grandMA2 light is the perfect tool to control all kinds of lighting genres like conventional fixtures, moving lights, LEDs, video, and media, and supplies an intuitive and fast control of all connected fixtures and channels. The grandMA2 light can handle an almost infinite number of presets, cues, pages, sequences and effects. It is ideally suited as a backup device for the grandMA2 full-size. Furthermore the console is compatible to the grandMA ‘series 1’.